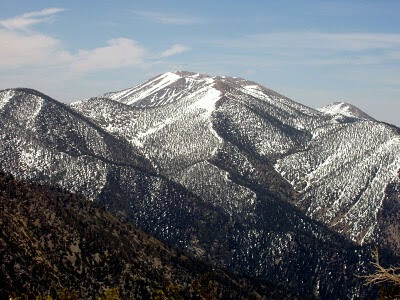 Over the Peak and Through the Pines: I Ran San Gorgonio! Big and Beautiful, looking east at Valley of the Falls to the right, the start of the Momyer Trail. This is part of the reason why I can (and do) say that Southern California trails have everything a ultra/mountain runner could ever want. Mt. San Gorgonio (spanish for Saint Gorgonius) is 11,490 ft tall and offers trail heads around 5,500-6,000 ft. My particular route that I have taken a couple times is the "Momyer Trail" which starts around 5,500 ft and climbs nearly 6,000 ft in 13 miles (an average of 485ft/mile). However, this isn't a consistent climb, and forces you up sections that climb upwards of 800ft/mile, so be prepared to hike a little bit if you aren't acclimated. 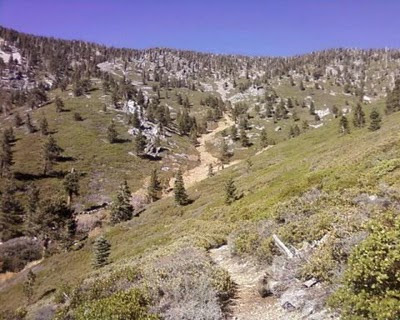 Around about 5-6 miles/8,500 ft up, you are treated with a lush meadow with a babbling brook. This alone makes the trip out of the brownish city into the mountains quite worthwhile for the runner's mental and spiritual health. 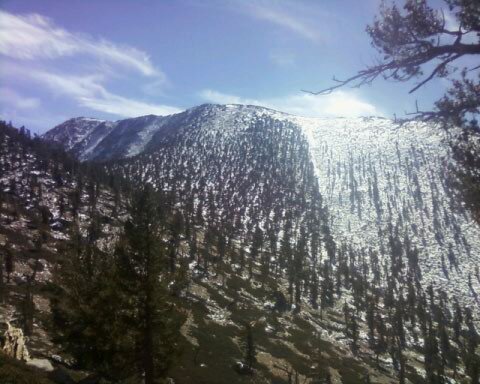 However, San Gorgonio is a great run not just for this great meadow, but also for the contrasting Alpine scenes as the athlete leaves Dollar Lake Saddle at 10,000ft/9 mi. Finally, the run tops out with about a 3.5 mile final push to 11,490 ft. Looking down on Big Bear Lake, Palm Springs, and all of Southern California, the runner then plunges back down a 13 mi descent, with a handful of uphills that the trekker forgot were there on the way up. 26 miles, and around 6500 ft of climbing! Speaking vaguely, I believe the southern side is usually clear of snow longer than the north side, but this is a La Nina year, so who knows if the southern storms will reverse that.